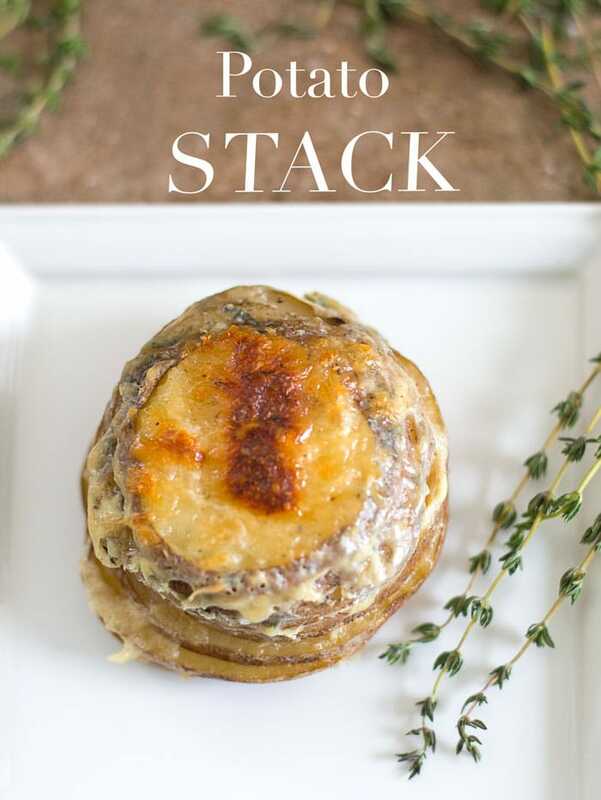 Potato Stack is a simple side dish made with Idaho potatoes, milk, Parmesan cheese and Thyme. Added nutritional yeast and flax seed meal to add more texture and flavor. I like mine stacked sky high and oozing with all kinds of comfort-y goodness! 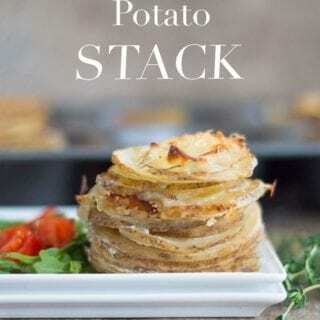 My potato stack has to have crusted cheese on top and the aroma of fresh thyme floating out of it. The not-so-secret ingredient in this recipe? I am sure you like you potatoes in the same way. 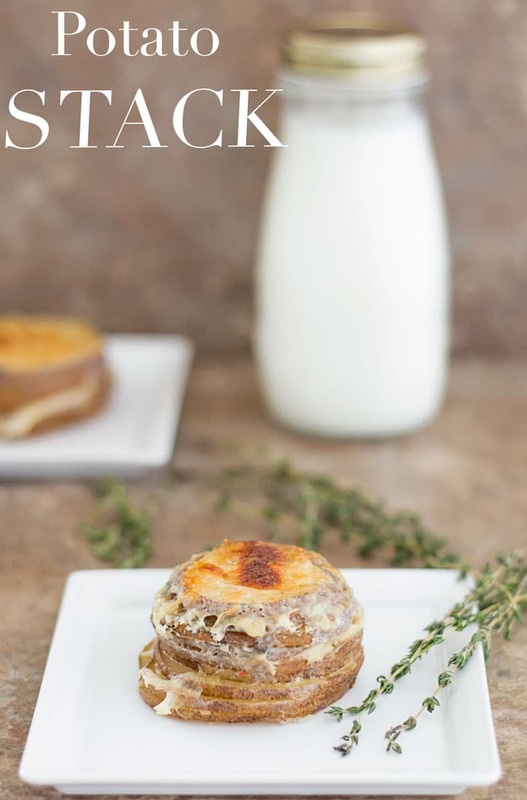 There is no ordinary milk in these potato stacks! Only the best milk will do! Yes, I am talking about Florida Milk produced by the very fine folks at Florida Dairy Farmers. Everything they do is about respecting the power of Milk. When I see their dedication and hard work, it makes me appreciate every drop of milk I drink. So, I am going to throw some amazing numbers here. Since you are a stats nerd like me, you too will be mesmerized by the numbers. Top 4 stats about Florida Milk. Florida has over 100 dairy farm families who are part of the Milk producing process. They produce fresh, high quality milk that eventually ends up in my fridge. Do you know how many dairy cows are in Florida? There are over 120,000 cows in Florida. That’s a lot of cows. I am a city gal, so, when I moved to Florida, what surprised me most was seeing cows everywhere. Every time I see a cow, I have to take a picture. Here is a pic I took 2 years ago when I encountered a cow at 10pm. It is my favorite cow moment. These dairy cows have been know to produce over 270 million gallons of fresh milk every year. If we stack 1 gallons of milk, it would be one enormous skyscraper! 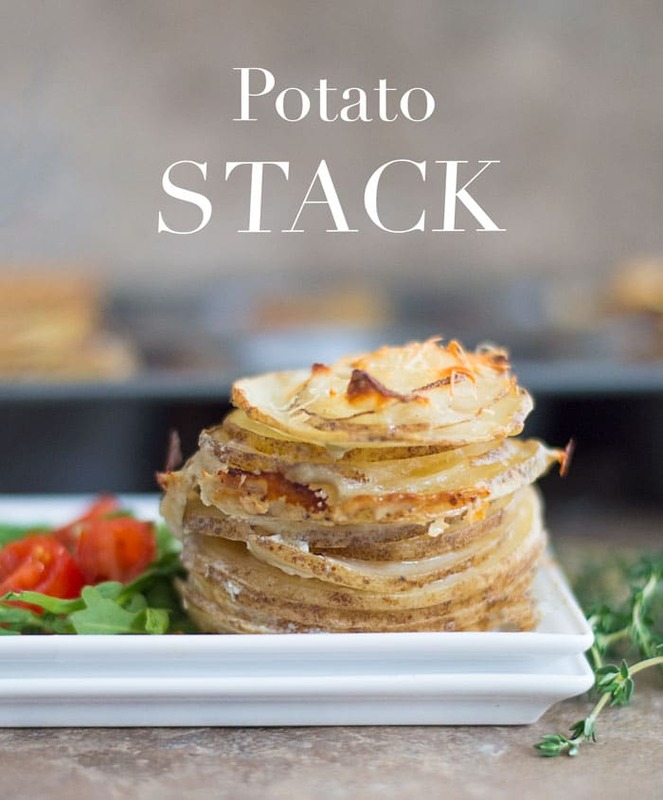 Think of all the potato stacks we can make with that much milk! Here is my favorite stat. Florida Milk has 133 recipes and counting. These are all milk recipes that range from breakfast to dinner and everything in between. 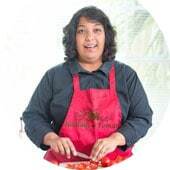 My goal is to make a veggie burgers using milk. I can already imagine how juicy and smooth it will be. Aren’t you so glad that milk can do so much more than be a cereal ingredient? Florida Milk are all over social media. You can follow them on Facebook, Twitter, Pinterest, YouTube and Instagram. You can also smother potato rounds with using cheese made with Florida Milk. Last year, I made a creamy polenta recipe using Florida Milk and it was smoooothy goodness. What recipe are you going to try using Florida milk? Love all the fun cow/milk stats but those potatoes…. drooling! Thank you, Debra. I was astounded by so many of the facts. I love everything about this recipe. 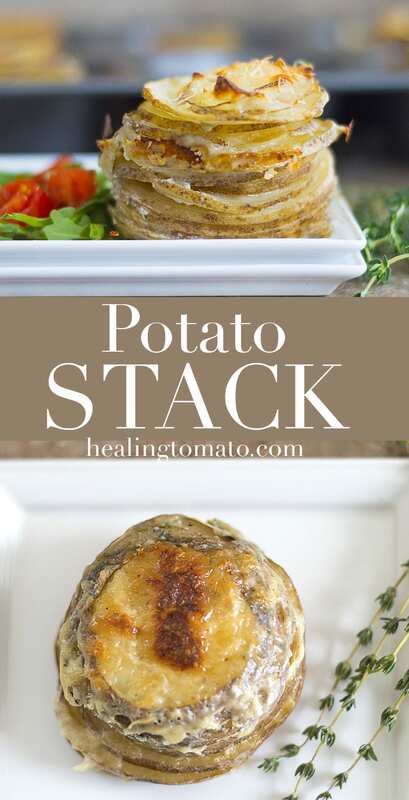 I’d love it as a side dish or even just with a salad for lunch!